Freshen up your home or office space with a new terrarium for 2014! Alys Fowler at The Guardian shares her experience with selecting plants for a large bottle terrarium. 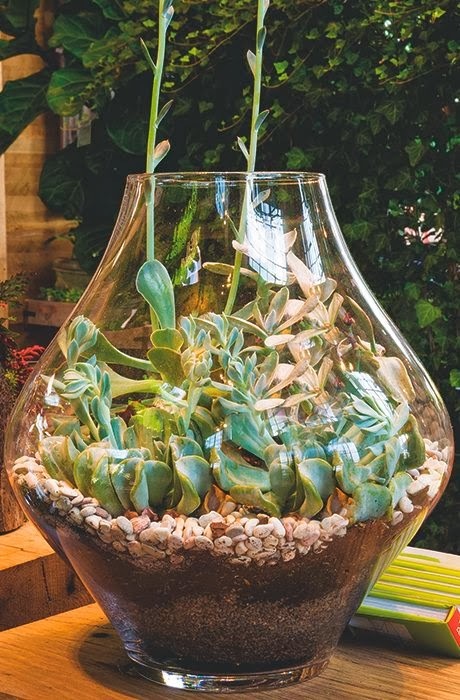 When planting a bottle terrarium, be sure to select plants that will stay small or plan on some heavy pruning! See 19 terrarium plant ideas to get you started.